Aaaah, summertime. There’s nothing quite like it—and definitely nothing like a New England summer. While those Florida folks have their palm trees, water parks and flop flops, oh my, those of us here in good old Wilton have our sun dresses, Sperry’s boat shoes and light evening jackets. And when it comes to Connecticut pastimes, there’s got to be croquet on the lawn. The age-old game has been around since the early 1800s and involves hitting plastic or wooden balls with a mallet through hoops embedded into the grass playing court. 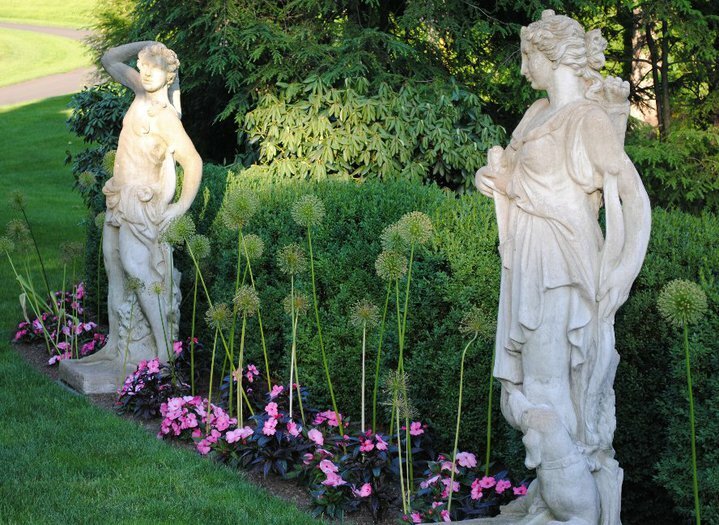 Marvin Gardens recently came across some fun photos on Habitually Chic chronicling the game being played by pop culture greats throughout history on a variety of breathtaking lawns. Take a look at a few of our favorites! What’s your favorite summer pastime? The croquet lawn at Winston Churchill's old home. While enduring this extremely hot summer and longing for an escape to the French countryside, we came across a beautiful home inspired by Paris in Veranda Magazine. When the owner of the home wanted to add a Parisian feel to her beach side home, she went to interior designer Betty Burgess, who is known on the West Coast for her classic European style. The California residence features a soft palette of blues, greys and creams with black and chocolate accents gives the home the rustic charm of an old French château while still complementing the home’s West Coast location. 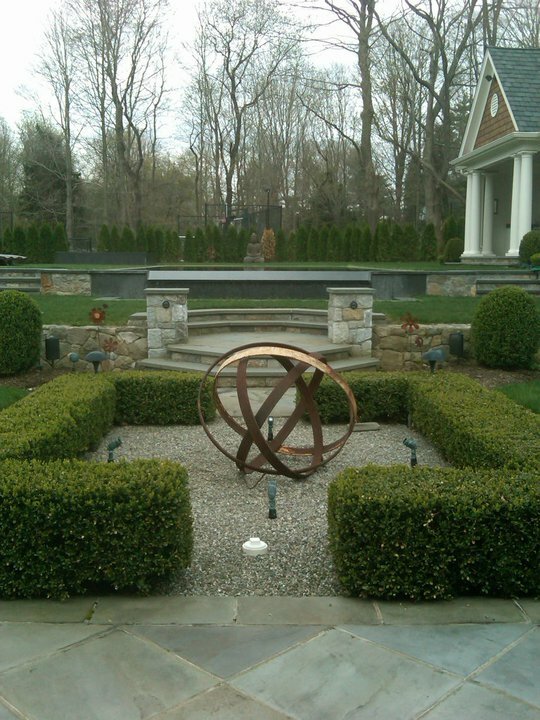 We loved that Burgess used many of the homeowner’s antiques and art work to complete the look with a personal touch. 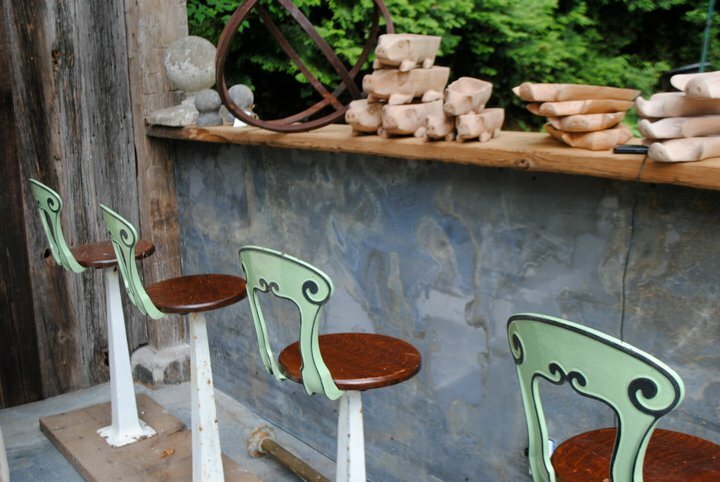 Take a look at some more images from Veranda that we also found inspiring. We’d love to hear from you, what did you think about the Paris-inspired home? Follow Marvin Gardens on Facebook! When it comes to sophisticated traditional design, Marvin Gardens just can’t get enough. We recently took a look at some photos from an installment in the latest edition of Architectural Digest of a townhouse renovation and we absolutely fell in love. According to AD, the residence is Thomas Jayne’s 19th-century home in Philadelphia. Take a look of a few of our favorites below form the spread! The drawing room is furnished with a custom-made sofa and chairs upholstered in silk and a camelback sofa covered in a Clarence House damask. Rembrandt Peale’s portrait The Odalisque hangs over the mantel. The curtains are made of a silk faille from Claremont. A custom-made runner stripes the staircase. An Italian rococo secretary from Foster-Gwin stands in the drawing room. Fluted columns separate the drawing and dining rooms; the chandelier is Italian Empire. If you’re n the Wilton, CT area and interested in creating a cozy transformation like this in your own home, contact Marvin Gardens today! Talk about a fresh idea! Marvin Gardens recently came across this innovative and sustainable wall décor known as MOSStiles from by Benetti Stone Philosophy that basically allows you to decorate any area of your home from the walls to lampshades to tabletops and everything in between. The tiles come in a variety of colors and are almost completely maintenance free. What a neat way to liven up the interior with little to no effort at all! These modular living tiles come in 12 different shades and are virtually maintenance free needing no watering, fertilizer or even direct sunlight, maintaining their lush appearance relying only ambient humidity alone. Like a living wallpaper or even art, MOSStiles will brighten up your space with living plants. Would you decorate your interior with these lush little tiles or are the out of the question for your digs? We want to hear your thoughts! 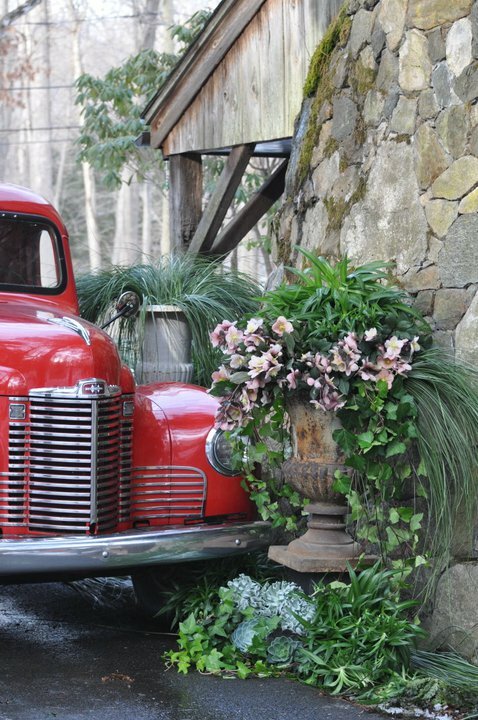 Check back with Marvin Gardens regularly for all things gardens and design-related form around the web! French Farmhouse Luxury: Oui, s’il vous plaît! It’s officially summertime which means many folks all over the continental U.S. are hustling and bustling with sunny holiday plans. But if you’re like the growing number of Americans who will choose to stay close to the home front for the summer this year, you’ll have to enjoy the globe’s offerings vicariously through photos and illustrations. 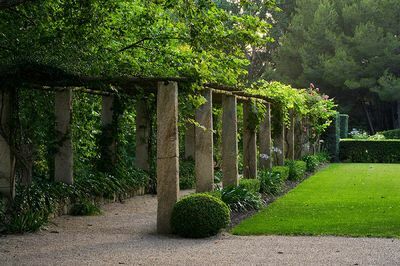 Marvin Gardens would like to spoil you with a few of our favorite pretty pictures from a quint and cozy 18th-century farmhouse in Province, France known as Le Mas de Baraquet. 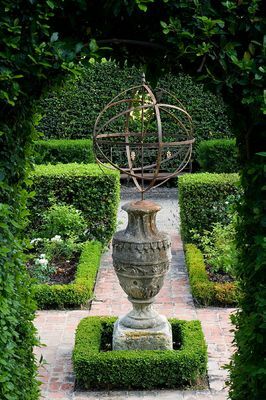 Recently featured over at Habitually Chic, these pictures are originally from UK House & Garden Magazine and depict tranquil gardens designed by Dominque Lafourcade and her husband Bruno Lafourcade. 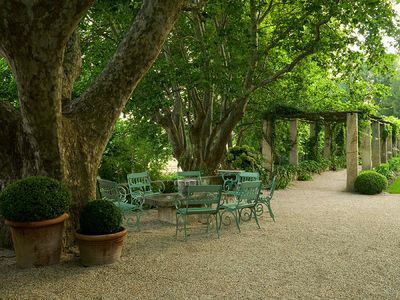 Aaah, the site of these lush gardens just screams, “Won’t you visit us in France, please? !” What are your summer vacation plans? Marvin Gardens has once again added new (actually, old!) and unusual items to our collection of cool, one-of-a-kind and phenomenally interesting merchandise! Take a look! Contact Marvin Gardens today to learn more about these beauties! When it comes to wallpaper, there’s an infinite supply of patterns, colors and textures to choose from. This new Urban Metallic collection by Carnegie Fabrics can now be added to the list. 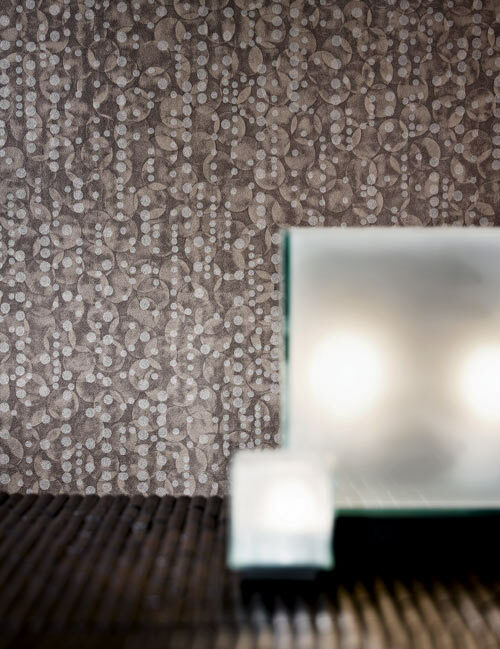 We found these wall coverings on Design Milk. The Midas pattern is sure to add sparkle to any space. At first glance, this pattern would be fitting in either a bathroom or a dining room that often accomodates lots of guests. This deeper, more serious bubble pattern is known as Helics. The darkness of this print is appropriate for a quiet room like an office. It might also work for a dining area where quiet meals are held. Which of these three wallpaper patterns do you like the most? Leave a comment and let us know! The term chesterfield means couch or sofa in Canadian. Over in Europe a Chesterfield is identified by a plethora of buttons and a low back. The great thing about a Chesterfield sofa is that whether you dress it up or down, it’s going to look fabulous. Period. Take a look at what we found on the Belle Maison blog. 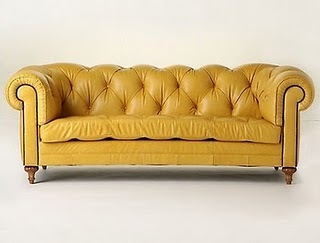 In a goldenrod shade of yellow, this butter soft leather Chesterfield can fit into a feminine or masculine setting. 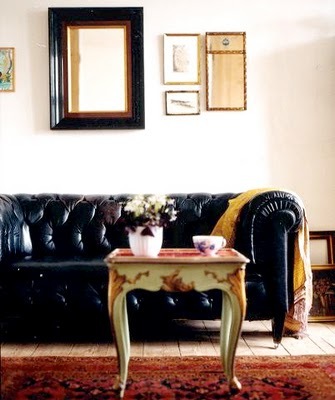 This black Chesterfield boasts feminine flair as it’s dressed up with a mini coffee table and a rug. It doesn’t get much better than this. A golden and velvety Chesterfield against a bright plum backdrop. 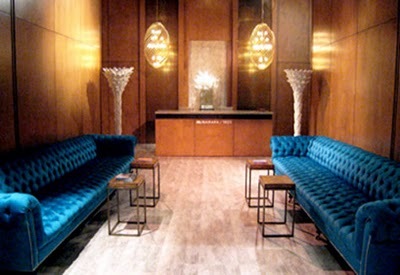 Turquoise Chesterfields surrounded by polished wooden walls creates a formal yet stylish setting. 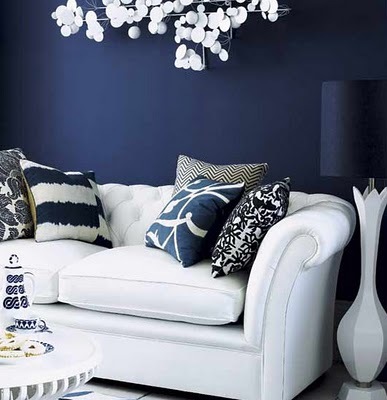 A plush white Chesterfield adorned with touches of navy and midnight blues is ultra chic. What do you think of the Chesterfield style? Leave a comment and let us know!